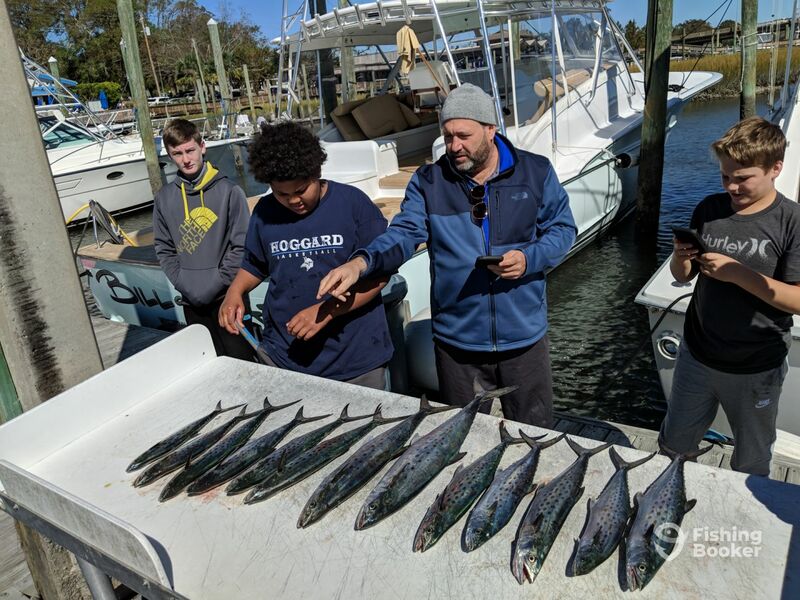 Nearshore: Catching Spanish mackerel, Blue fish on beach front and around the masonboro inlet and masons inlet. On the beach front fish between caught between 20ft-30ft of water. 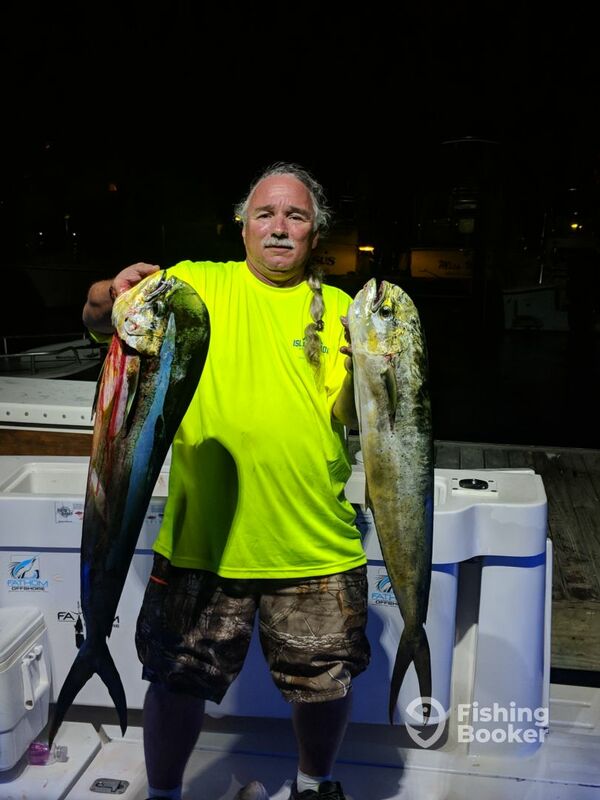 Around the inlets we have been catching must all of our fish on the south side of the inlets. We have been fishing in 25-35ft of water. We are pulling the Clark spoons behind 1 planners. Best color has been pink or sliver. 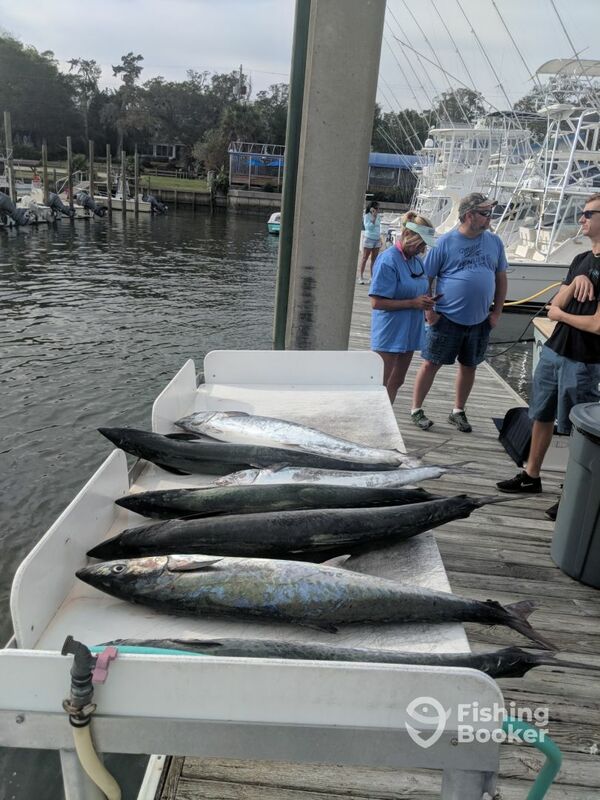 Offshore; the king mackerel bite has started to pick out around the 15-20 mile. The best of it has been around school house ledges and points just a little north of there. Must of our fish have been caught on the planer rod. Number 6 or 8 planners have been working really well this past week. Pull drone spoons white and sliver is working well right now. Also rigged ballyhoo on skirt rigs work just as good. Watch for the short bites on the planners and outriggers. If short bite happen slow your speed down a little.